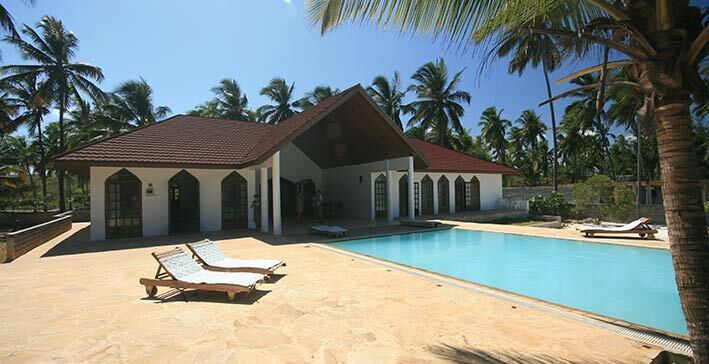 Each villa has an huge swimming pool in front and the Indian Ocean just behind. 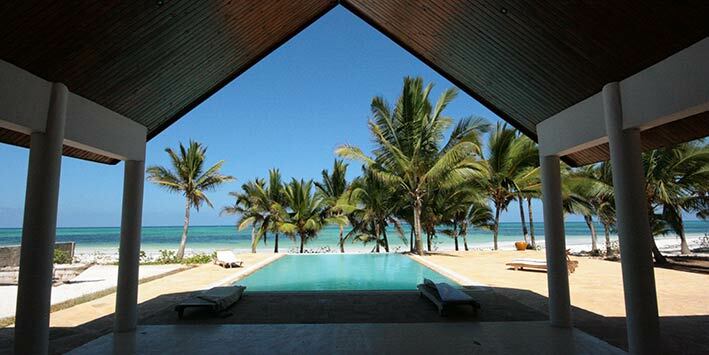 Let your dream come true at Zanzibars famous East Coast and take over the villa of an European investor. Best beach features you can find in Zanzibar: A very long white sandy beach with lots of coconut palms and no mass tourism! All yours! 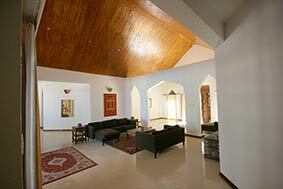 An high ceiling in the spacious living rooms provides a cool indoor climate. 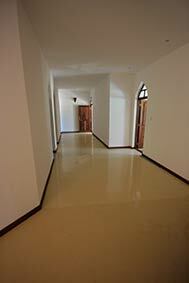 The same to the long corridors of the mansion. 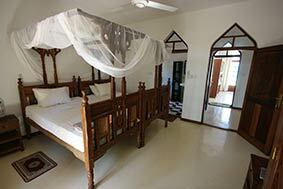 The 3 bedroom of each of the 2 beach houses are all ensuite and of course furnished with the tall Zanzibar beds. 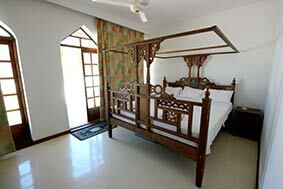 Let the sea breeze come directly into your bedroom. The tall French windows are going directly to the beach terrace. 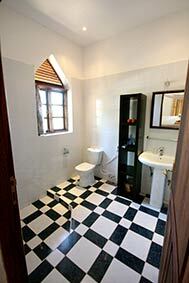 Decent colours and a very good finishing becomes in particular visitble in the bath rooms. 140 meter stretches the plot along the ocean while the two villas have sufficient distance to each other in order to keep privacy. In other words or as you can see on the picture, the open space between the villas could still be utilized. In a gorgeous place like this it is hard to decide if you go for the pool, the ocean or if you just remain relaxing in the cool shadow of the roofed patio. Before you go further, contact MyBeach! 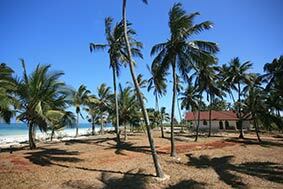 2 generously designed swimming pools, the whitest fine sand from the island and so many coconut plams - privacy!